We have several of Austin Powers favorite Outfits from the Austin Powers Movies. ‘Groovy Baby, Yeah!’ We’ve got the glasses, wigs, ruffled shirts, zipper boots and everything you need to make your own favorite Austin Powers costume. Get the entire outfit or just the pieces you need. We have the grooviest Go Go Girl Outfits you have ever seen, Go Go Boots, Mod Scarves, Mod Sunglasses, Mod Jewelery and everything Go Go you could possibly ever need. Join me for a lovely time at the Lone Star Park British Invasion Celebration on May 10, 2014. Going to Lone Star Park for the British Invasion? We have tons of British Invasion costume ideas mate. Wear this dress to the 2014 KLUV British Invasion Band Night at Lone Star Park in Grand Prairie. 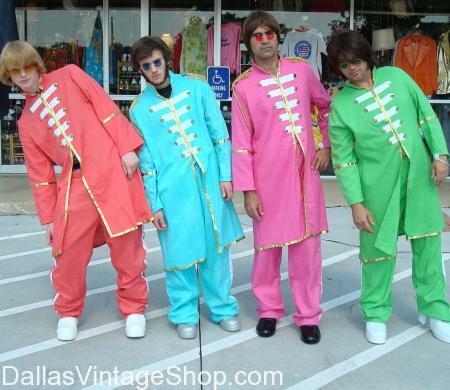 We have British Invasion costume ideas that will blow your mind. We have long Scarves that are perfect for: 70s Disco Costume Accessory Scarves, Ladies Disco Costume Accessories, 70s Long Disco Scarves, Shiny Metallic 70s Disco Costume Scarves. You are in British Invasion category.